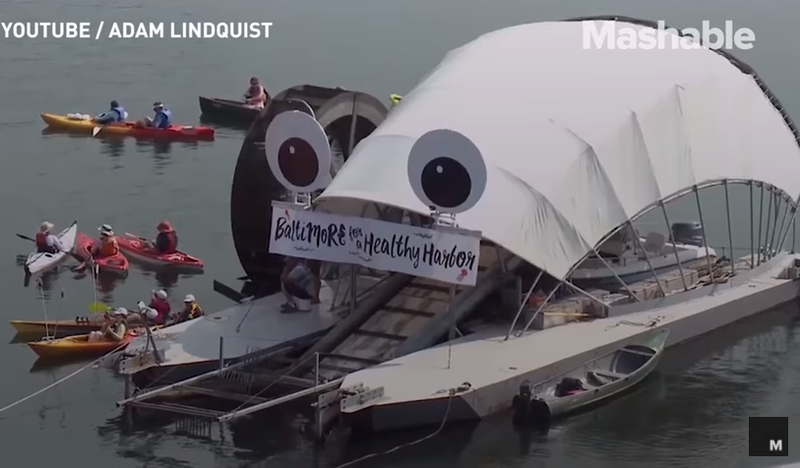 Based out of the waterfront partnership of Baltimore, Maryland and going by the name “Professor & Mr. Trash Wheel” these devices are vacuuming plastic from our oceans much like a Roomba for waterways. They operate exclusively on the energy they get from sunlight and water. Collecting litter and debris, keeping trash from winding up in the ocean, the device uses two trash containment booms in order to direct the waste up a conveyor belt and into the dumpster barge on the other end. Since being installed, the trash wheels have kept over one millions pounds of litter out of the Atlantic ocean! Thanks again to @mchllsong for the share!